What Kind Of Coffee Has The Most Caffeine? Caffeine can be both a fantastic tool and a fearsome enemy if not used carefully. You have to be careful to find the balance between getting the extra pep you need and becoming a jittery mess. There are a few different factors that can contribute to the amount of caffeine in the coffee you drink. These factors can include the type of coffee bean used, the style of coffee it is overall, and the way it’s brewed. While it can be tough to come up with an exact number of milligrams of caffeine per cup, you can use the information here to help narrow down the range of caffeine milligrams you’re consuming. It’s also a good idea to remember how serving sizes can effect how much caffeine you’re consuming as well as how it can effect your health. Overall, finding the ideal balance is going to be the best way to have the coffee you enjoy and get some extra energy as part of your regular routine. Read on to find out how each factor in the coffee-making process can contribute to the overall amount of caffeine. How Do The Beans Effect The Amount Of Caffeine? There are two major types of coffee, these are the arabica and robusta. Just by looking at these names, you might be able to guess that robusta tends to have a higher overall caffeine content. That said, it isn’t the most commonly used kind of coffee. Arabica is far more prominent and makes up for over half of the coffee production on our planet today. You might find yourself wondering just why arabica is so popular when robusta may be more effective for a caffeine boost. The answer is largely in the taste. Robusta is known to have a less pleasant taste than arabica due to the higher caffeine content. It also has fewer lipids and sugars. While that might sound better for the sake of health, it can result in more of a burnt or bitter taste. There are still tasteful robusta options out there, it just depends on your personal preferences. A few benefits can be found to choosing an arabica coffee over robusta. Most noteworthy is that you’ll be able to drink more before the jitters have a chance to set in. If you enjoy the taste of coffee, that’s a real plus! You can also expect a more pleasant taste overall from arabica, which is why it’s so prominent in the coffee beverages we see around the world today. Arabica beans are also going to be a little better for your health, as they’ll be less likely to cause you to consume too much caffeine and end up with a lot of physical stress. However, if you prefer to drink a smaller amount for a greater result then there are plenty of drinks that contain robusta beans and can get the job done! How Does The Serving Size Matter? You can typically expect that the amount of coffee you drink will add to the caffeine you consume. If you’re in the habit of buying a 16 or 24oz coffee from a coffee shop, then it’s wise to remember that you may be doubling or tripling the amount of caffeine per beverage that you’re consuming. This is also true for any calories, sugar, and other ingredients that might concern you. Therefore, if the idea is that you want to be able to drink more prior to getting jittery then you may want to try a smaller size or get something with a lower amount of caffeine per serving in it. Where you get your coffee can make a difference too. For example, coffee you make at home may be vastly different from one you might purchase at a coffee shop or restaurant. Even if you order the same kind of coffee that you would make at home, each cup varies greatly in the amount of caffeine. Because of that, your experience can differ depending on where the coffee comes from. For those who also want to keep track of things like sugars, fats and calories, it’s good to balance those with your caffeine intake as well. Many coffee drinks that you may purchase can have more sugar than you might expect. Opposite to that, if you want to get the energy boost without drinking a lot of coffee then a smaller, more caffeine-dense option may be ideal. Too much caffeine can be bad for your health, so it’s best to make sure that you use a balance of caffeine and other methods of self care in your life to help keep your energy level up. Fueling yourself with coffee alone can cause you more problems than benefits. Throughout the day, around 400-600mg of caffeine will be okay. Of course, this can vary depending on the person. One may get the jitters after 400mg while another might still feel like they need more after 600mg. 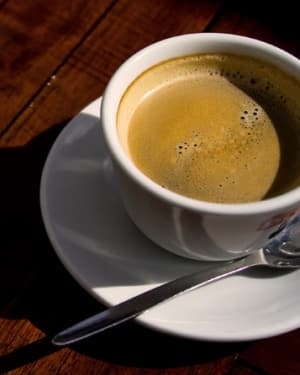 If you tend to drink coffee with about an average level of caffeine in it (around 95mg), then anywhere between 4 and 6 cups won’t be likely to do too much harm. However, if you drink more caffeine-dense beverages then you may want to drink fewer servings and spread the drinks out evenly throughout your day. If you have too much caffeine, it can cause problems with sleep, heart palpitations and jittery nervous energy that can cause stress to your mind and body. How Does The Brewing Process Come Into Play? The biggest myth we tend to find today is that you’ll get more caffeine out of a dark roast than a light one. The truth is that while dark roasts may have a more rich and hearty flavor, they do have the lower caffeine content between the two. Opposite to that, light roasts are going to have more caffeine content to offer. At the most basic level, it’s important to remember that the longer the coffee beans have been roasted, the less caffeine they are going to have. That means that darker roasts will have less caffeine than lighter ones. While this may seem counter-intuitive, it is important to keep in mind so that you can find the ideal roast for you. It can be fun to try out different roasts and brewing styles to find your favorite. You may even find there are coffee beans all over the spectrum that you enjoy. There are also medium roasts, breakfast roasts, espresso roasts, and more to consider. All of which have their home in that caffeine spectrum. You can learn more about the differences in kinds of coffee roasts in our posts on light and dark roasts. So using that as a reference point, you’ll be able to pick a type of coffee that will give you a better balance of caffeine. Of course, that’s going to depend on your personal preferences and needs. 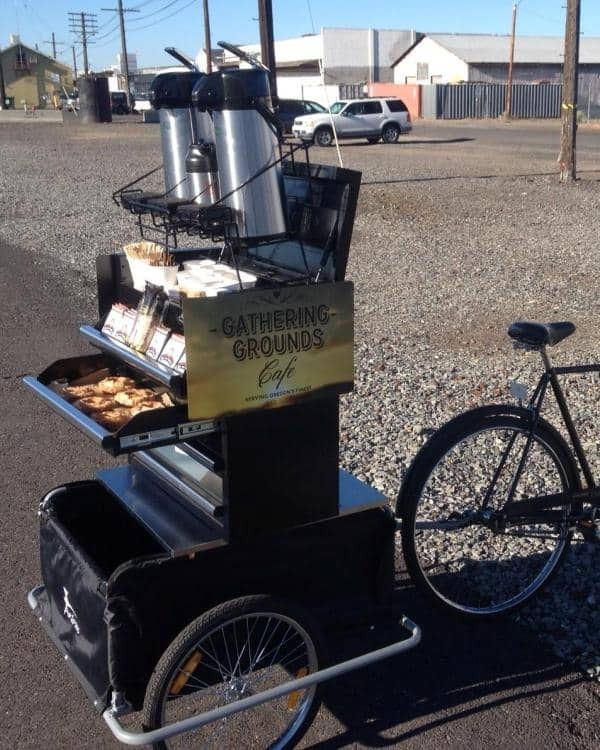 Grounds that are in a finer state may be able to offer more caffeine. 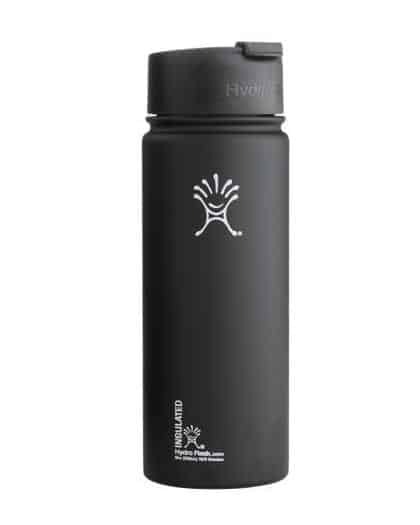 This is because it’s easier for the water to push caffeine out of smaller pieces than those that are more coarse. If you grind your own coffee beans, then you can help to adjust the amount of caffeine in your cup by grinding them to different levels of coarseness. 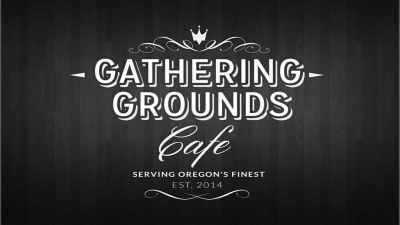 What Amount Of Caffeine Can I Expect From Different Coffee Styles? There are a few different styles of coffee, such as the common drip-style we all know, espressos, instant coffees and decaf. These all have different levels of caffeine to offer. Most people are familiar with drip-style coffee, as that’s what most of our at-home coffee makers use. Depending on the coffee you choose, you can get up to 185mg of caffeine in that style of brewing. 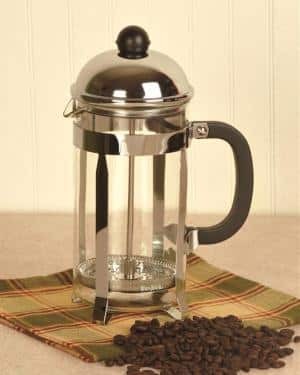 Second to that is the french press style, which can get you up to 170mg depending on the coffee you choose and how you brew it. These are going to be the two greatest options if you’re looking for the greatest possible amount of caffeine. 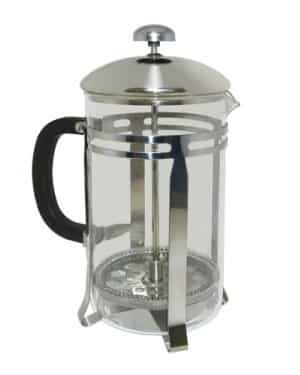 Note – You can see our favorite french press coffee makers here. It can sometimes help to compare your favorite styles, such as drip-style coffee versus french press coffee, to find out which will bring you the caffeine and ease you desire. If you’re looking for a little less caffeine, then an espresso can give you a great balance of taste and energy. Do keep in mind that the amount can vary pretty greatly, but typically you can get up to 75mg of caffeine from an espresso. If you’re highly sensitive to caffeine and only want a small amount, decaf is the way to go. Typically, decaf coffee can provide up to around 7mg of caffeine, but it tends to be close to 3mg. While many might scoff at the minuscule amount of caffeine in decaf, it can still be a highly popular option for those who only need a small boost to get going.